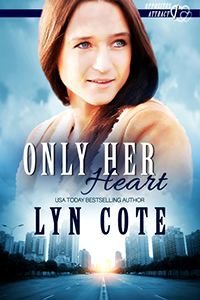 Caring, hardworking, Annie Petrov’s about to quit the job she loves. Why? From day one she’s been in love with Jack Lasater, her computer-genius boss who–grasps intricate code and computer security but never understands people. Five years of being valued only as the executive assistant who makes his life easier is no longer enough for Annie. If she goes now, she can leave with her pride intact. 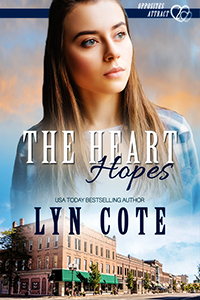 As she writes her letter of resignation, an unexpected call from Jack’s estranged, successful surgeon father upends Annie’s plan and Jack’s life. His dad’s multiple-facility Hope Medical network’s computers have been hacked. He needs Jack’s expertise to discover the hacker and prevent another intrusion. Jack wants nothing to do with his father, but Annie points out this should be a “bottom line” decision. And though she doesn’t say so, Jack needs to face his father. So Jack grits his teeth and takes the job. Now she cannot leave, not when Jack needs her help to navigate the troubled waters between father and son. After Jack cleans up the Hope mess and designs a new security system, the hacker steps up his attacks. Hope Medical fears he might target patient records. Someone could die. As Jack works to expose the hacker, the true reasons for the estrangement from his father will also be exposed. Is Jack ready for the truth and more importantly, ready to admit what he’s ignored all along–that he loves Annie? What will at last break through his emotional firewall? Other Books by Lyn in "Opposites Attract"